Walton Hall Academy is an excellent establishment which prides itself on helping young people with a range of learning difficulties to achieve their full potential. 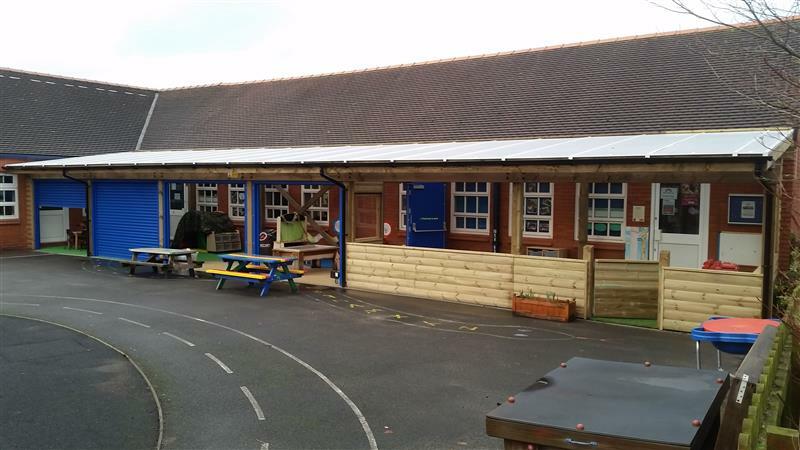 We met with the Headteacher Pauline Carmichael, where we decided to install our largest 7.5 metre Gazebo for their students to enjoy come rain or shine. Pauline explained how her students loved being outdoors but the unpredictable English weather prevented this throughout the year. 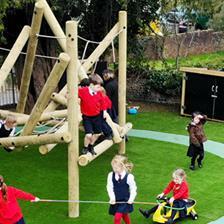 The outdoors helps give her students with special educational needs a fresh outlook and a welcome change from being indoors. 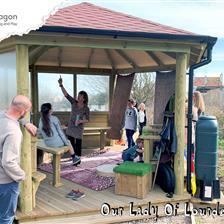 This particular Gazebo can accommodate an entire class of students which is ideal when teachers want to take their lesson outside. 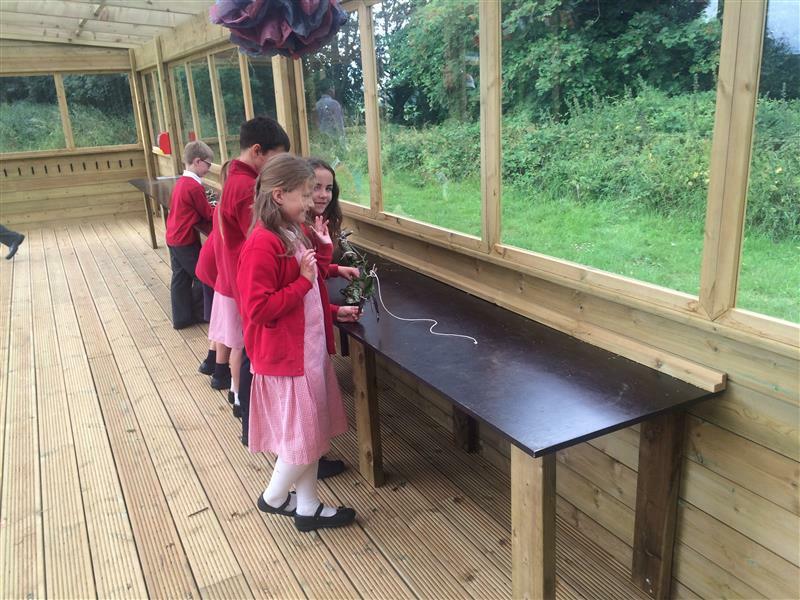 Also, the roof is completely waterproof meaning the rain will no longer prevent outdoor learning. Students will love spending time with each other inside the Gazebo and we’re positive it will become a great place to strengthen relationships and improve social skills. The Gazebo has already been used as a ‘platform’ for Walton Hall’s ‘School of Rock’ and ‘Signing Choir’ who performed at their summer fair. 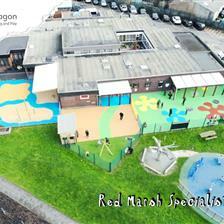 What do you think of our huge 7.5 Metre Gazebo? 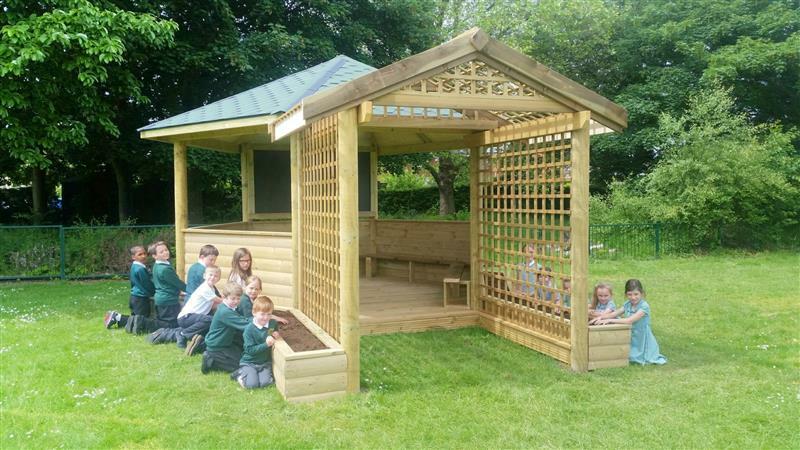 If you’re interested in adding one of our Gazebos or other Outdoor Classroom options to your school, simply Contact Us through the website to arrange a free consultation.